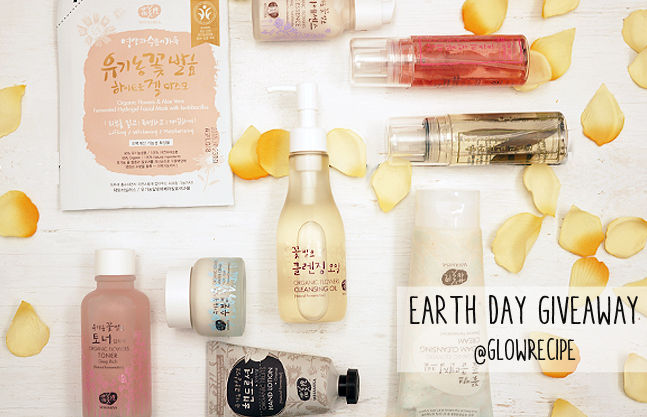 At Glow Recipe, we always try to partner with brands that have a mission beyond profit & products. One of our favorite partners is Whamisa, a company dedicated to creating high quality organic beauty. Whamisa was also one of the pioneers of fermentation in skincare in Korea (the CEO Junhan Park started it in the 1990’s) and this passion for research and innovation has led to some of our most customer beloved products such as the Whamisa Cream with Natto and Whamisa Olive Leaf Mist. Just as importantly, Whamisa is about sustainable ingredient sourcing and production, recyclable packaging and no animal testing. One winner will be chosen on April 22nd for a year’s worth of Whamisa products. This giveaway is open internationally. Any questions, comments or feedback? We’re always happy to hear from you at love [a] glowrecipe [dot] com. I have a forgotten (bummer I know) Whamisa rich flowers toner that is now (just a month) over a year old since I first opened it. The expiry date is still a few months away but accdg to the label, shelf life once opened is 8 months. Should I still be using it? Thanks in advance! Hi thekoreanmaze, sorry for the late response! We’re so glad that you like Whamisa – we’ll do these giveaways more often going forward!